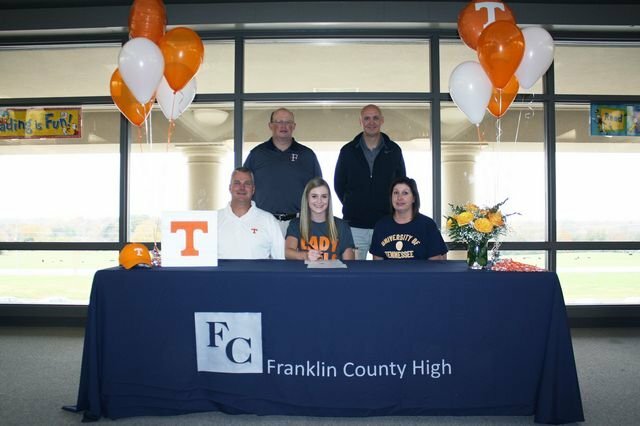 Malia Stovall, State Champion Golfer, signs with the University of Tennessee. She is pictured with her parents, Crystal and James Stovall, and her coaces, Doug Philpot and Bret Smith. Congratulations, Malia!